"Higher education customers are demanding more attention and immediate service – that is, “Internet time.” Proactive institutions are now adjusting their Customer Relationship Management practices by refocusing their efforts externally. Because of the need to concentrate more on customers, many institutions are once again turning to technology – this time to customer relationship management (CRM) software." From A Vision for Higher Education by Gary B. Grant and Greg Anderson. A CRM centralises all your data so that everyone within the university has access to all the information they need from one single source of truth, including contact details and communication history. With the right tool, your university can build effective recruitment processes. By having access to data highlighting the most engaged and applicants with the highest potential, your team can contact the right candidates at the right time. With the ability to see the personal interests and engagement level of each candidate, your recruitment and admissions team can reach out with relevant content that matches each candidate’s needs. Your relationship with candidates becomes a more personalised experience. A CRM holds valuable data that can be used to nurture prospects into applicants and applicants into students. 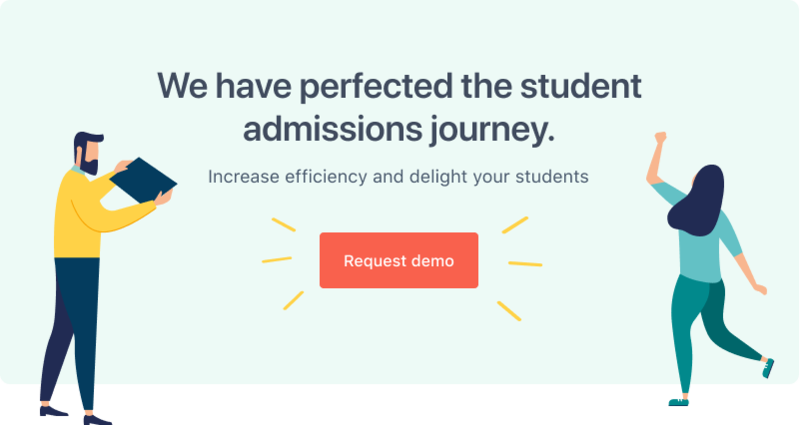 A CRM helps you track how prospects initially find your university – whether it's through visiting your website, a recruitment fair or even from a specific marketing campaign. This allows you to determine where you get the biggest return on marketing investment.